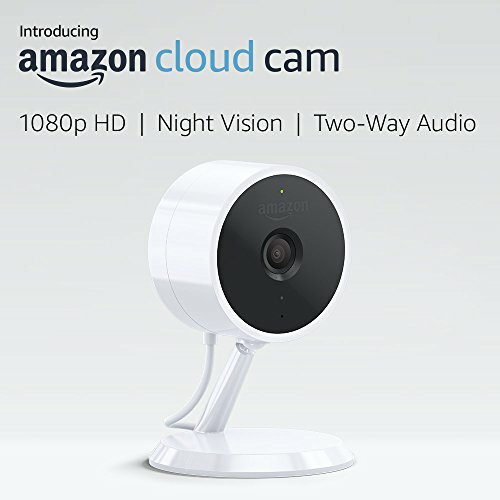 The Amazon Cloud Cam is set to be unveiled this November, but with the indoor camera market being so flooded I have to wonder if it’s worth anyone’s time or money. Since it’s made by Amazon, odds are it will, at the very least, be a high-quality device. But will it have anything special to offer? Will it do something to separate it from all the other high-end cameras? Word is it does, mainly because of how it works with the new Amazon Key. And you can find out about it all in my in-depth Amazon Cloud Cam Indoor Security Camera Review. I’ll outline everything it can and can’t do, so you can decide for yourself if it’s worth more than a passing glance. 1.8.1 Q. Is the camera safe since it is Cloud-based? 1.8.2 Q. Can your videos be saved to a computer? Remeber that song, I Always Feel Like Somebody’s Watching Me? Well, that’s what it’s like to have an indoor security camera. Most are easy to mount and can be accessed by your smartphone, tablet or computer, allowing you to see what’s going on in any room, even when you’re not home. The beauty of these devices is that they let you keep an eye on what is happening in and outside your house so you can protect the people and things that matter most. 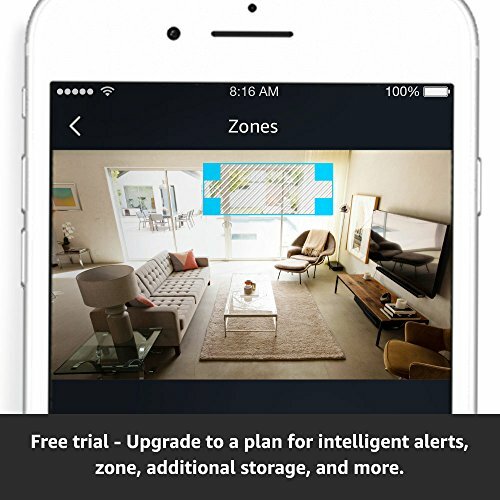 The Amazon Cloud Cam, like most indoor cameras, is meant to help keep your home and belongings secure at all times. And since it is Cloud-based, it will continue to improve, learning your family’s habits and patterns and customizing what alerts and notifications you receive. How much is little it does depends on the service package you choose; for instance, the basic package alerts you to any movements while the pro lets you know when an actual person is in the cameras field of motion. The Cloud Cam has a modern look and feel, with a compact design that helps it fit into any room of the house. But even more impressive is the quality of its components. It has 1080p Full HD video resolution for crystal clear footage day or night and there are 8 IR LED lights for superior infrared vision; which means even when it’s pitch black inside the video will be sharp, not grainy. Want to hear if your baby is crying or scream at a burglar to get out? Well, now you can thanks to the two-way audio. There is a built-in microphone and speaker, allowing you to hear what is happening as well as talk with anyone within earshot. This is great because you can see, hear, and be heard, for seamless communication throughout the day. Remind your kids to do their homework, ask your spouse to start dinner or listen in to make sure everyone’s behaving. Since it is Cloud-based, this camera can adapt and customize how you interact with it. Specialized motion detectors and computer technology allow you to get notifications tailored for you and your family; for instance, depending on your plan, you can get alerts when a person is detected only or get notifications for movements in specific areas. Plus, all your information is stored in the Cloud, either temporarily or for an unlimitedb amount of time depending on your plan. Amazon Key is a new service where eligible Prime members who have a smart lock can have packages delivered inside their homes; using a special code, a delivery guy can enter your home and leave your order inside. And with the compatible version of the Cloud Cam, you can watch them deliver it, either in real time or later on. This makes the whole process secure and simple. It also means no more worrying about packages disappearing or getting ruined in bad weather. 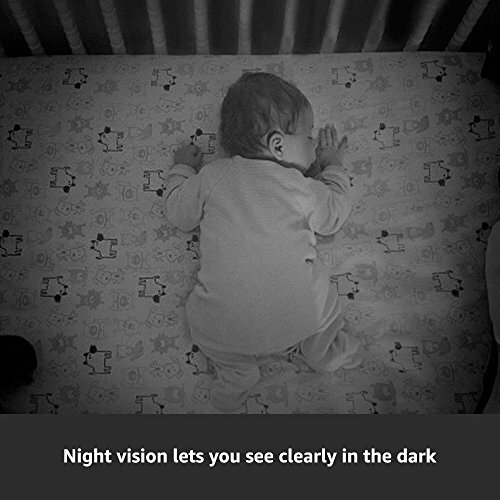 The 8 IR LED lights help the camera to see clearly in the dark and the best part is you don’t need to program it; the camera automatically senses when it gets dark and automatically switches over to night vision. So whether your teen is sneaking out or someone is trying to break in, you’ll see it all. Want to know what’s going on outside your front door? Need eyes in the kitchen? 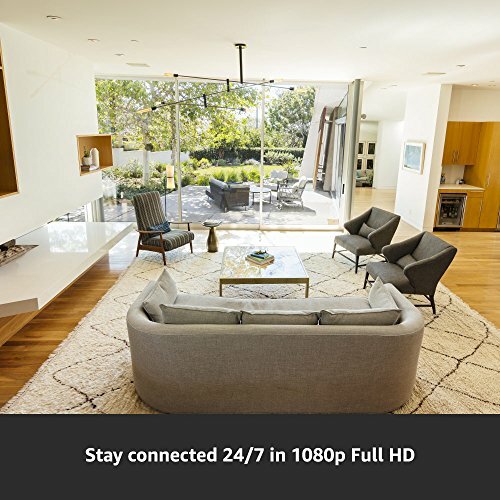 No problem with the Cloud Cam; you can mount it anywhere in your house and the 120-degree field of vision helps it capture everything you need. And with all the great deals Amazon is offering you can buy 2 or more at a discount if you need cameras in multiple rooms. 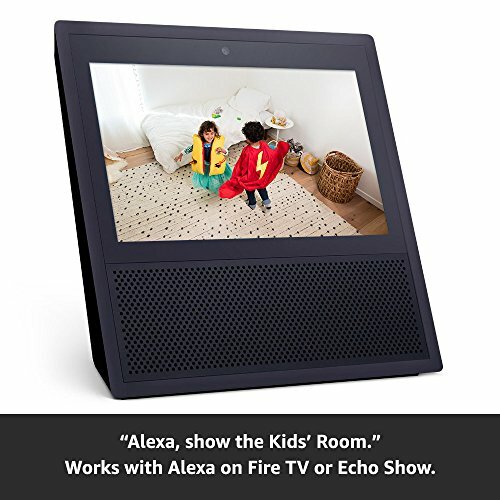 Of course, Amazon’s newest indoor cam works with Alexa and Echo Automation Hub, so you can view footage on the TV with a simple command or using the Echo Show you can speak using the two-way audio. To appreciate what the Amazon camera has to offer, let’s do a quick comparison with its top competitor: the Nest Security camera. Both are similar in design and perform many of the same functions, like night vision, Alexa compatibility, two-way audio and cloud services that make for more intelligent alerts and notifications. 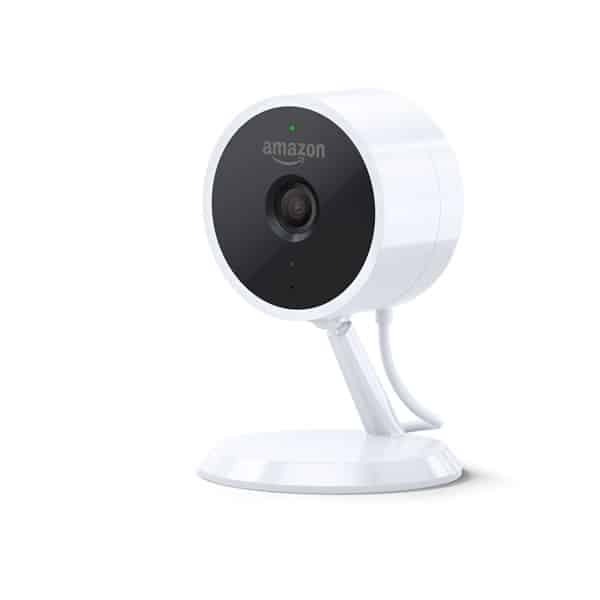 However, the Nest costs a bit more without offering more and their service packages are significantly higher, making the Amazon cam the better choice. So far, the buzz is mostly positive about this camera, with many touting the Cloud technology as a major plus. They like that the detection process is constantly improving and many are excited about using it with Amazon Key. The one drawback is the service plans, which some say are needed to fully get all the benefits and added cost they don’t need. However, the plans are reasonable and the camera doesn’t need them to function, so for most it is still worth the investment. Q. Is the camera safe since it is Cloud-based? A. Yes. All information is secure and available for viewing. Q. Can your videos be saved to a computer? A. Yes, but you will need a higher service plan to access this feature. Overall the Amazon Cloud Cam Indoor Security Camera is a solid investment at a great price. It is easy to use and has impressive features, such as it’s intelligent technology, that is sure to make you and your family feel more secure. Bottom line, it may not be anything new, but it is better, and that is sure to make it a hit with consumers. Google Home Mini Hands-On Review: Don't Believe the Hype!